Compliance EnviroSystems cleaned 15,000 catch basins in New Orleans from Sept. 26, 2017 to this past Jan. 23 under an emergency contract. But about one-third of those catch basins — 23,000 — have already been cleaned since the beginning of 2017. It is thanks to a detailed plan put forth by the city’s public works department, which ratcheted up last August after major flooding issues in the gulf city. 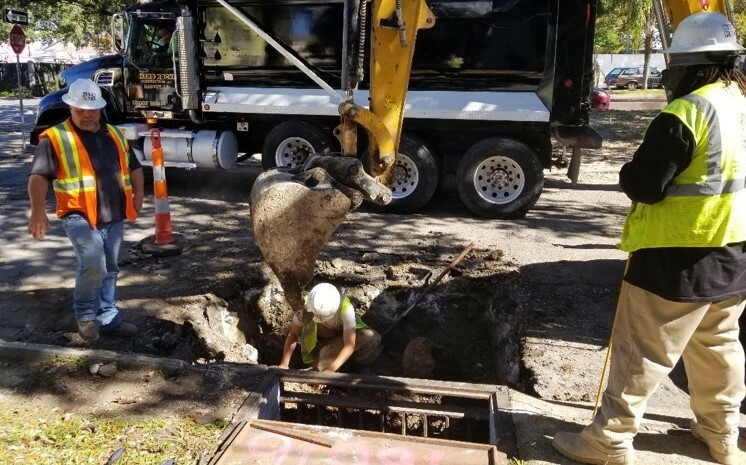 Following the flooding, the city council approved a $22 million Emergency Catch Basin Cleaning & Repair Program — with $7 million used for cleaning and the remaining amount for repairs, according to Dani Galloway, interim director of the New Orleans Department of Public Works (NOLA DPW). “We took it to a different level in August 2017. Most know we live below sea level and know our drainage challenges,” Galloway says. Galloway notes that 60 percent of the workforce for the cleaning program has been with local/regional companies, maximizing the economic impact for the city. 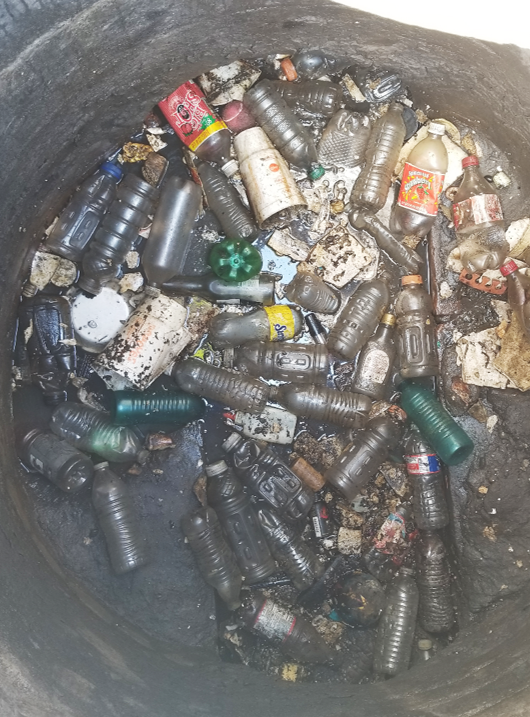 Compliance EnviroSystems of Baton Rouge, Louisiana, cleaned 15,000 catch basins in the city from Sept. 26, 2017 to this past Jan. 23 — collecting about 7.2 million pounds of debris. About 7.2 million pounds of debris was removed from catch basins in recent months. That number included 93,000 pounds of Mardi Gras beads — largely from a five-block stretch on St. Charles Avenue, a main route for the annual parade. It’s no surprise that locals and tourists love their Mardi Gras celebrations, but Galloway says NOLA DPW wants them to love their sewer systems as well — and randomly tossing items that will end up there is a public service issue. “If you can keep things from getting into the system, then everybody is better off,” says Galloway. To stem the flow of Mardi Gras beads from reaching storm sewers this year, the city invested in 200 “gutter buddies” — large sandbags and grating — and installed them along the parade route to catch the beads. 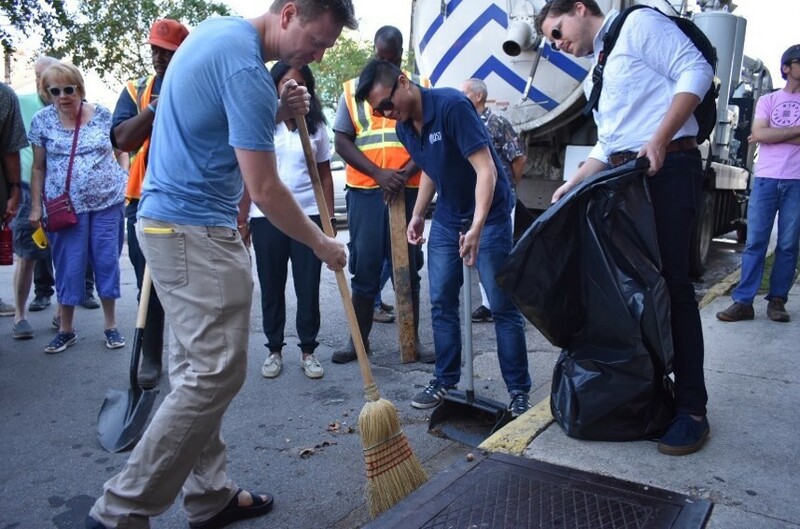 In October, NOLA DPW hosted Catch Basin Cleaning Days, working with neighborhood associations in a “train the trainer” format. NOLA Public Works has been working with residents to teach them how they can play a role in catch basin maintenance. “We had a great turnout,” says Galloway. “It was really rewarding.” She estimates about 40 to 50 people attended each neighborhood event. At the events, crews showed residents how to safely maintain a catch basin and educated them on the function of the drainage system and importance of keeping it clean. In a fun and interactive move to engage residents, the city has also created an Adopt-a-Catch-Basin app (catchbasin.nola.gov) where residents can select and even name a catch basin. Automated emails provide instructions on how to safely clean the basins. So far, more than 600 catch basins have been adopted — some bearing creative names like Big Damn Heroes, Biscuit’s Basin, Listerine on Sundays, Stinky Drain, Ministry of Magic Muggle Entrance, and Basin On A True Story. NOLA DPW is also working with the parks department, construction firms, landscaping companies and more to educate them about not blowing, dumping or rinsing debris into catch basins. In having 23,000 catch basins cleaned over timeline that ended in January, Galloway says the city has met the primary goal that the emergency plan was meant to achieve. The next major task is repairs on the basins that need it — those with missing lids, crushed or collapsed lateral pipes, etc. Since NOLA DPW doesn’t do repairs in house, it has contracted with Hard Rock Construction of Harvey, Louisiana. Crews are currently working on the necessary repairs to catch basins.